Are you bored silly at work? Be thankful you’re not on the other end of the employment spectrum, where dying on the job is always a possibility. Despite strides in workplace safety, on-the-job deaths occur with disturbing frequency: in Canada, almost every day someone dies from a traumatic, work-related injury. If you believe the news, one of the biggest threats to your life at work may be your co-workers themselves. On-the-job murder gets a lot of press. The truth is, the number of workplace homicides is down 37 percent from 1994. Taxi drivers and chauffeurs are most likely to be murdered on the job. After several highly publicized shootings by disturbed postal workers, the Postal Service in the US did a study that found Postal workers are no more likely to “go postal” than are other American workers. Every job has its risks. For computer programmers, it might be a case of going cross-eyed from staring at lines of code for eight hours every day. Other employment options, while not to make light of the effects of being cross-eyed, are a little more…well, let’s just come right out and say it: deadly. It’s to be expected that professions that involve the use of heavy machinery while in remote regions aren’t the safest career choice (loggers, anyone? ), but you might be surprised to learn that the individual hauling your trash away is more likely to die on the job than a police officer. 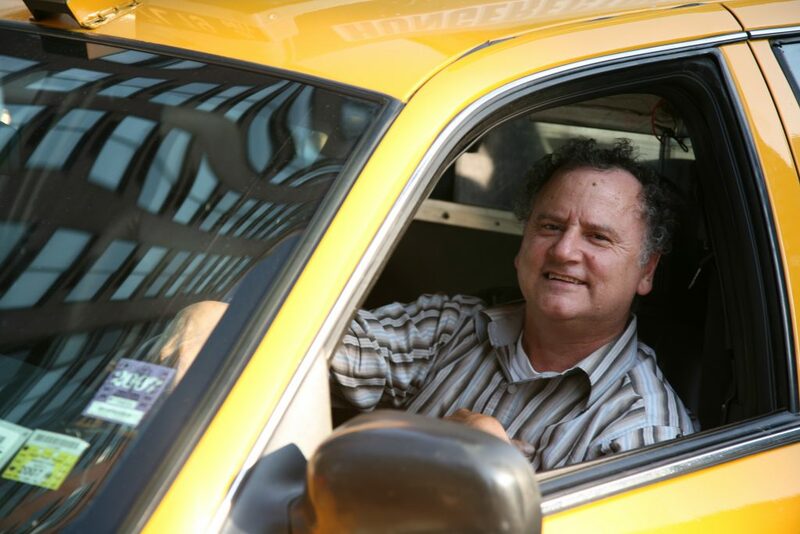 Taxi driving is the lowest-paying career on the list of the most dangerous professions, with an average annual income of $23,500 in the US. Taxi drivers are twice as likely as police officers to be a victim of homicide while working, and 20 times more likely to be murdered while working than the average American. Compared to other workers, they have an increased risk of such deaths because they work with cash, with the public, alone and during nighttime hours. Black and Hispanic drivers are more likely than white drivers to die on the job, and male drivers are six times more at risk than female drivers. According to a Taxi workers association in Canada, 70 per cent of drivers in Toronto say they felt in physical danger while working, 85 per cent said they had been verbally assaulted, and over half said they had been physically assaulted or attacked. One of the key factors in the danger is that the income for drivers is so low; in many cases they’re taking additional risks on the road to make the money they need to feed their families. And yet despite the dangers, the job is projected to grow by 13 percent through 2024, partly as ride-hailing apps like Uber and Lyft lead to increased demand. The construction industry as a whole contributes a lot to the number of workplace deaths, for a variety of reasons. Carpenters especially get hurt. A lot. Mostly it’s wrist sprains or repetitive stress syndrome kind of hurts: every time you hit the nail on the head in someone’s house, you help hammer another one into your own coffin. And if you miss a whack? That’s a crushed finger. Slip and you’ve fallen from the second storey and broken a hip. Tumble off a ladder, that’s a dislocated collarbone. Or, if you’re really unlucky, you fall the wrong and you’re dead. What about hearing damage? Loud noises from machinery and hammering are all around you, every day. Then there are the toxic hazards. When working as a carpenter you’re exposed to solvents and other hazardous chemicals, some of which could be carcinogenic. Oh, the eye injuries, too. Flying debris and dust cause serious injuries or even permanent blindness. And of course there are injuries caused by tools and machinery. It’s pretty common to slip and cut yourself, but what’s worse is when the machinery is faulty and malfunctions. That happens. The next time you look at the vegetables left over on your plate and wonder if you really have to eat them, think of the 22 out of every 100,000 farmers who die in a work-related accident getting the vegetable onto that plate. Farmers are nearly twice as likely to die on the job as police officers are, five times as likely as firefighters, and 73 times as likely as Wall Street bankers. Farming death rates may be high, but the injury rates are even higher. Every year around 60,000 farmers seriously hurt themselves, that’s more than the number of U.S. soldiers wounded in all the years since 9/11. And many of those injuries last a lifetime, a huge factor in why rural Americans are are 50 percent more likely to have some form of disability than cityfolk. So what makes farms such deathtraps? Mostly it’s long hours around heavy machinery. 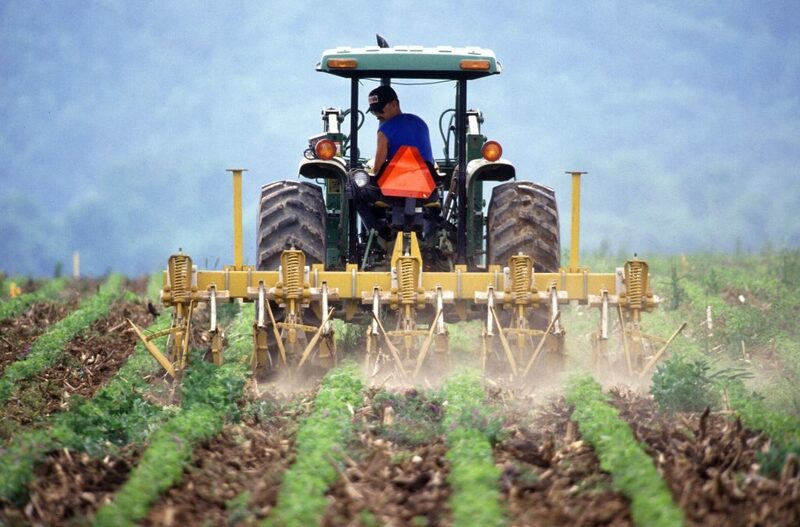 Mechanization has made farming a lot more dangerous. Some of it’s preventable: a simple rollover protection device could stop more than 80 percent of tractor deaths. All modern tractors have them, but most tractors used on small farms aren’t so modern. Along with vehicle accidents, there are plenty of ways to die on a farm: falls from roofs and multi-story barns, trampling by farm animals, suffocation in grain silos, exposure to toxic pesticides and herbicides…take your pick. Kids are not exempt, either. Far from it. More kids under 16 younger die working on farms than in all other industries combined. The vast majority of these minors were family members and therefore not subject to labor laws. A farm is just as dangerous as a construction site, but there are no rules about fences and hardhats. So appreciate that broccoli. Could be someone died for it. The average American eats about 200 pounds of meat a year. Very few of them take the time to think about where that meat comes from. Meatpacking is dangerous, horrible work. The injury rate in slaughterhouses is three times higher than the rate in a typical American factory, with one in four workers suffering an injury or work-related illness every year that requires medical attention beyond first aid. Slaughterhouse workers make a knife cut every 2 or 3 seconds, which translates to about 10,000 cuts during an 8 hour shift. That causes repetitive pressure on the workers’ joints, tendons, and nerves, which inevitably leads to tendinitis, back problems, shoulder problems, carpal tunnel syndrome, and trigger finger (when a finger becomes frozen in a curled position). But with all those blades flying around it’s no surprise that lacerations are the most common injury. What you might not think about is the emotional toll of the job. 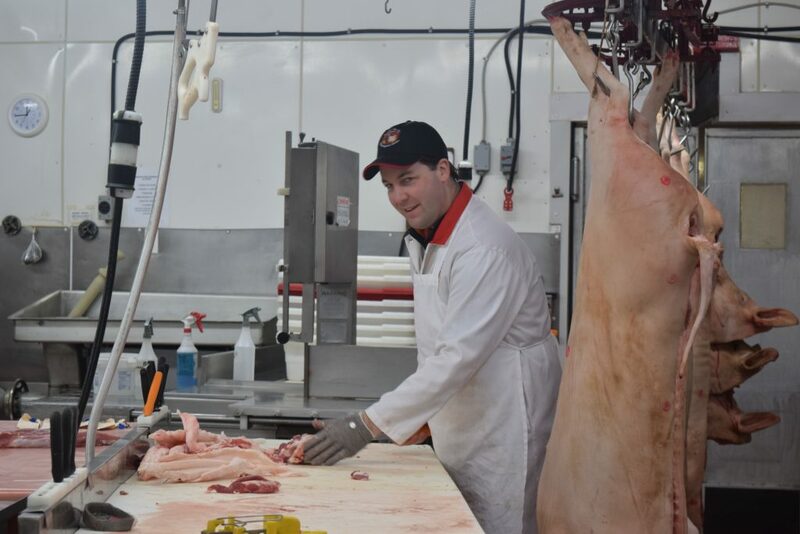 Slaughterhouse workers often experience a form of Post-Traumatic Stress Disorder (PTSD) known as Perpetration-Induced Traumatic Stress (PITS). PITS results from situations in which the sufferer was a “causal participant” in a traumatic event. Symptoms include depression, dissociation, paranoia, anxiety, panic, drug and alcohol abuse, and dreams of violence. You’d think that having to do this means you’d get paid well. But you don’t. Workers making on average $12.50 an hour, or about $26,000 a year. If you’re looking for work, you may want to think about being a truck driver. Job growth in the industry is forecast at 21 percent for heavy and tractor-trailer drivers over the next decade. Then again, you may want to look elsewhere for work: driving a truck is among the most hazardous occupations in the United States. Highway accidents were the leading cause of deaths of workers in all lines of work, and highways are a truck driver’s office. Deaths of truckers in auto accidents account for 12% of all work related deaths in the United States. Job fatalities in the transportation and material moving industries account for around one out of every four fatal work accidents. While there are other occupations that have a higher rate of fatalities, the truck drivers have the greatest overall number of job deaths. You might think it has to do a lot with bad weather, but the highest number of fatalities occurs in the summer months, which is when more people travel and the highways are much busier. 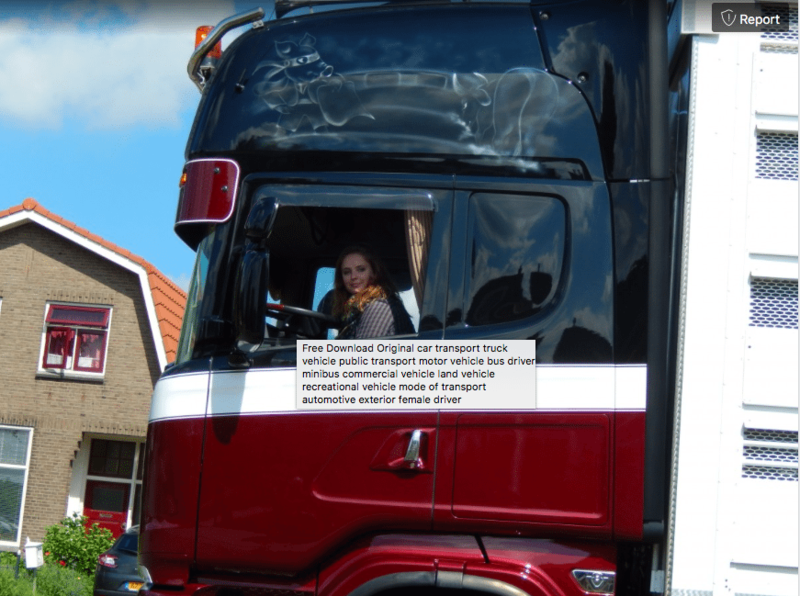 Truck driving is tiring work, and drivers are expected to be on the road up to fourteen hours straight a day, with ten hours off before they climb behind the wheel again. Those then hours are likely spend in a public place, so any rest grabbed there is not likely to be very good. And you get about one day off a week. And it’s not just death you have to worry about. Truck drivers experience more non-fatal injuries than workers in any other profession, being 233 percent more likely to have a non-fatal injury on the job than other workers. The majority of these seem to involve back injuries from heavy lifting combined with sitting for long uninterrupted stretches. But wait, there’s more. What do you think drivers eat during these long hauls? Mostly it’s prepackaged, high calorie snacks, followed by a big unhealthy meal before tucking in for that crappy sleep. So it shouldn’t surprise you to learn that only 14% of the 3 million truck drivers in the United States are not overweight or obese. Depression is also a very real problem for truck drivers due to the amount of time spent away from home, lack of work-related relationships, and general loneliness. And if you are sick, you’re on the road all the time. When are you going to get the chance to see a doctor? But at least you’re paid well, right? Not so much. The average annual salary is just under $38,000, but since a trucker can easily work 4400 hours a year, that’s an hourly wage of $8.70. 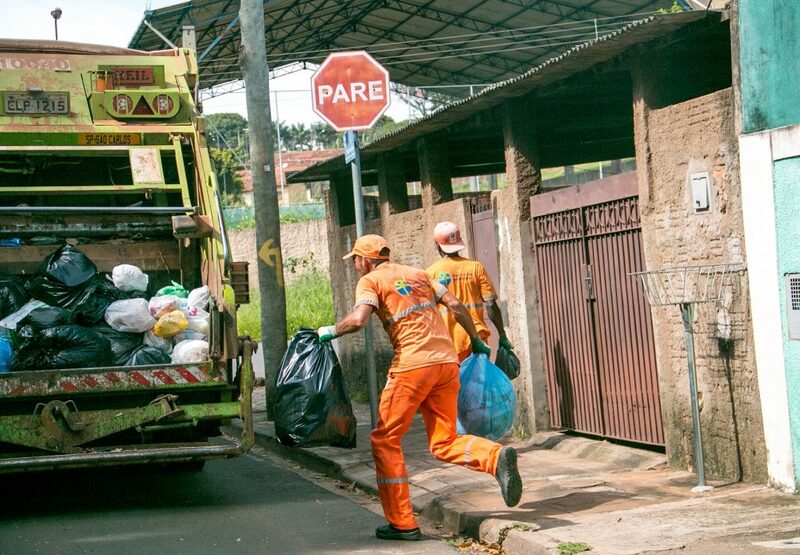 Here are some lovely statistics for you: the mortality rate for garbage collectors is 100 times higher than what is considered acceptable risk, and they are injured five to seven times more than the average worker, with 52.7 injuries per 100 workers. That puts your friendly neighborhood garbage collector in one of the top five most dangerous professions in America. By comparison, police officers suffer 15.8 deaths per 100,000, and the overall national average is 3.3 deaths per 100,000 in the workplace. Garbage collecting as a profession is in the top 3 that have the greatest risk of falling. Deaths can happen while collecting trash, or disposing of it at the landfill. They often fall off the garbage truck, but more often get hit by another vehicle. It’s not just garbage men who die, nearly 2 people are killed per week in accidents involving waste collection vehicles with other drivers, bicyclists, and pedestrians. Garbage men are also potentially menaced by the contents of the trash cans: broken glass, cat and dog poop, chemical wastes, animal carcasses, syringes, slumbering homeless people, battery acid, bleach, pesticides, metal blades, and bugs. Let’s not forget the smell, either. But at least as a garbage collector you can expect to be in good shape. Trash pick up crews run an average of 20 miles per day behind moving garbage trucks. However, repeated lifting while on the run, jumping in and out of the trucks, and lifting cans that weigh 100 lbs or more can cause crippling injuries like back strain, shoulder strain, ankle sprain, hernias, fractured feet, bruised knees, and torn hands. So the next time you’re tossing out the trash, try to keep stabby items like used syringes and broken glassware safely wrapped up when you take it to the curb. Your garbage man will appreciate the extra effort. When you’re up on a roof, it doesn’t matter if the sun is shining or it’s raining, there’s always a high chance of falling off getting hurt or killed. Actually, there’s a high chance if you fall that you will be killed: 34% of falling injuries off of roofs are fatal. 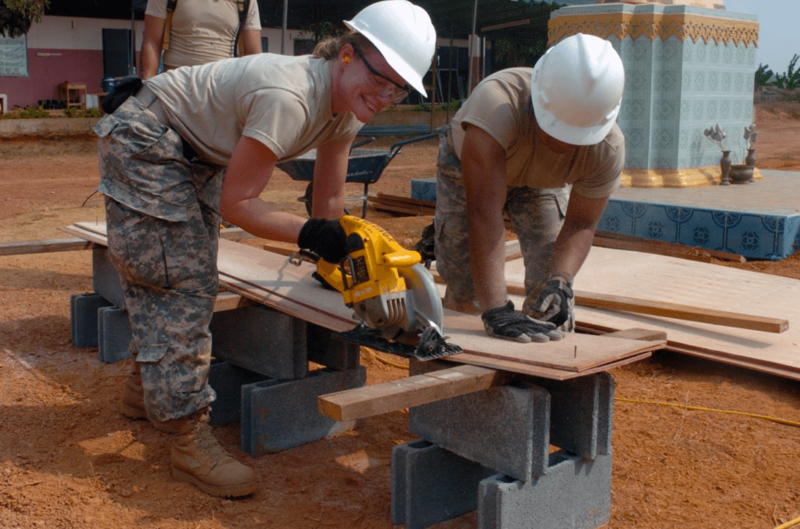 Falls, slips and trips are the leading cause of construction worker deaths, 40% in total. No wonder roofers have the highest fatal injury rate at 47.4 per 100,000 workers. There are all kinds of things that can happen up there to cause a fall. There’s a lot of tools and material that is easy to trip over. 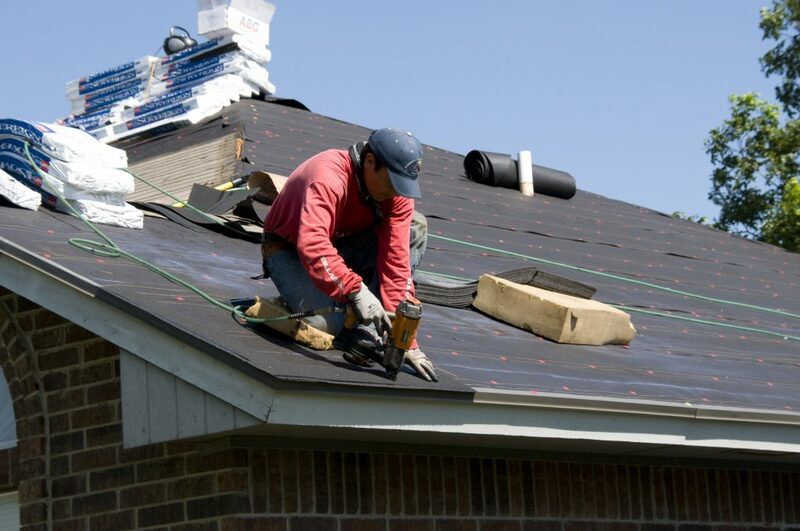 The roof itself can be in bad shape, and a loose or broken shingle can easily trip you up. The roof itself might be weak enough to fall through. Bad depth perception can lead to loss of balance, or a sudden onset of fear of heights happens more often than you think. Roofs are never completely flat and easy to work with. If you judge the surrounding area badly, you’re in for quite a fall. Everyone stumbles at one point or another. But when it happens to a roofer, it could be the last thing they do. The chance of a bush pilot dying in a crash is one in eight during a 30-year career. The leading cause of deaths for airplane pilots is human error, so…is being a bush pilot tantamount to suicide? Some think so. Of course, where you choose to fly can make a difference. Alaska is not a safe choice, for example. 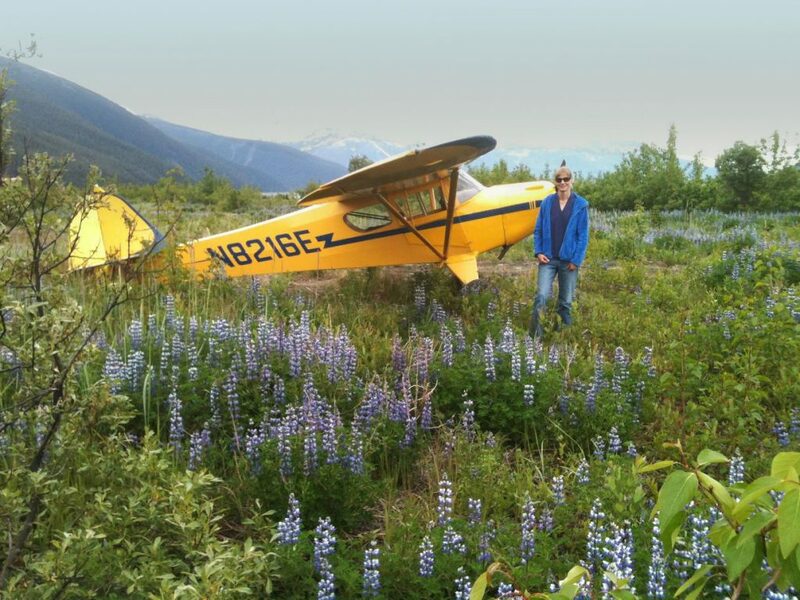 About a fifth of fatal U.S. crashes occur in Alaska where flying is much more common there: 82% of the state’s towns and settlements are reachable only by air. Indonesia is worse. There are a lot of very tall trees to crash into, including at the end of your very short runways. Other risks include landing in areas in which local communities are armed and in conflict with the government. And if you do happen to survive a crash in the jungle, beware of cannibals. Actually, beware of everyone, including your air traffic controllers. It’s common for several planes to be told to use a runway at the same time, or for pilots to have to watch for animals on the runway. Bush pilots tend to have to negotiate with weather a lot more, too. In a jumbo jet you’re flying above it, but in smaller planes flying close to the mountains…it gets stormy. Other issues bush pilots contend with are remote, bumpy, half-hidden airstrips, as well as poor maintenance. Generally, it’s the same as what they say about commercial flying everywhere: it’s 95 per cent boredom and five per cent pure terror. It’s just that the 5% terror is for good reason. Falling trees and dangerous equipment combine to make logging a very deadly profession. In 2015, 67 loggers died on the job. While more truck drivers (885) and farmers (252) died that year while on duty, loggers had the highest number of deaths per 100,000 workers: 132.7. That is more than double the second highest, fishermen, and 39 times more dangerous than the average job. By definition the job is dangerous. 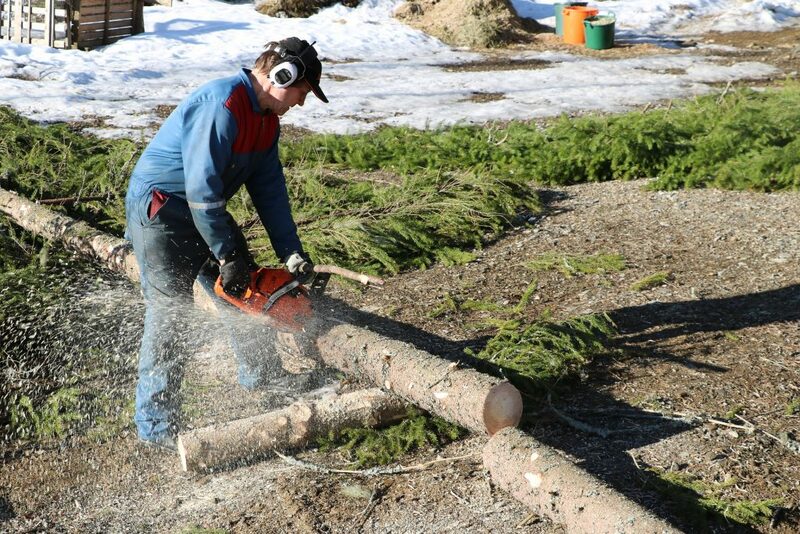 You’re dealing with axes and chainsaws as tools of the trade. Accidents happen quickly and easily and often. The incredible weights and unavoidable momentum of trees as they roll and slide can quickly lead to injury or death. You’re working on uneven slopes covered with things to trip over or get caught on. It could be rainin or snowing, there could be lightning, the wind could be blowing, or it could be really cold. The nearest help could be a long, long way away. And the pay isn’t great, either. We’re looking at $33,630 per year, on average, or about $16 an hour. When you travel along the coast of Nova Scotia, Canada, you come across a familiar object in every little town you pass through: a monument, dedicated to the memory of those who have gone down to the sea in ships. They’re all full of names, but always with lots of space to add more. They’ve known for a long time that fishing is a deadly job. Being a deckhand, for instance, is 14 times more deadly than being a police officer. Hauling up nets or cages weighing several hundreds of pounds is hard work. Add pelting rain, rogue waves and icy decks, and that work becomes lethal. Factor together the crippling isolation that comes with spending months alone at sea, the risks of drowning, being lost at sea, contracting an illness and not making it back to shore in time or even being crushed to death by a mishap with heavy fishing equipment, and the end result is that a staggering 116 fishermen out of every 100,000 lose their lives to the sea every year. The water has never been a safe place. Now thanks to climate change, the seas are getting even more severe and unpredictable. 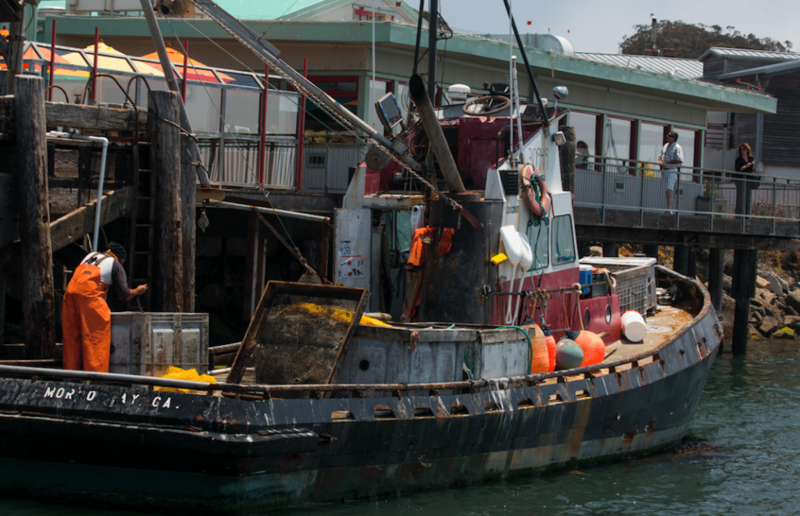 And as some fish stocks become scarcer, fishermen have to go farther out where water is colder and choppier, and where help, when needed, is farther away. And to top it all off, this is about the only profession where you can be swallowed whole.